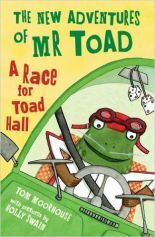 Tom Moorhouse is a strange hybrid being, half children’s author and half research ecologist (an entity probably not called an “authologist”). 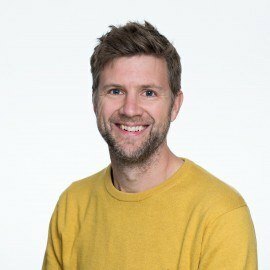 His debut novel The River Singers (2013) won the 2015 Quality Fiction NSTBA award, was nominated for the 2015 Carnegie Medal, longlisted for the 2015 UKLA and 2014 Branford Boase awards, and shortlisted for the 2016 Stockton Children’s Book of the Year. 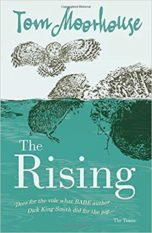 Its sequel The Rising was published in 2014. 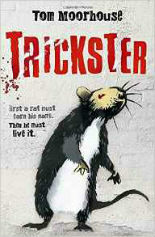 Trickster (2016), nominated for the 2016 Carnegie Medal, is a “ratrospective”. (No, he won’t stop making that joke.) 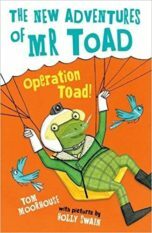 In 2016 he joined ten other authors and Lantana Publishing to create A Wisp of Wisdom, giving Cameroonian children back their stories. 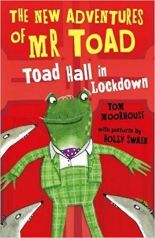 In 2017 his first follow-ups to The Wind in the Willows (A Race for Toad Hall and Toad Hall in Lockdown) came out. 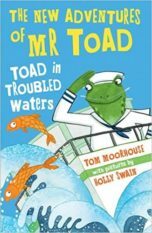 2018 sees the publication of the next in the series: Toad in Trouble Waters, and Operation Toad. 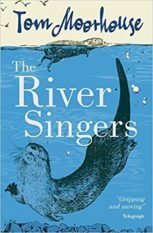 His books have so far been translated into seven languages, the French translation of The River Singers winning Le Prix LibbyLit for junior fiction in 2014. He works for Oxford University, writes for himself and is published by Oxford University Press. Photo courtesy of John Cairns Photography.